If Junior Boys’ fourth album It’s All True proves anything, it’s that the Ontarian, indie-electro originals will never be fully defrosted. Their stealthy, dampened beat-work has kept them remarkably suave in a subgenre that generally softens up to a dorkier demographic – and seven years since Last Exit the band is as frigidly unflappable as ever, progressing nicely through their expected idiosyncrasies, while continuing to sound effortlessly and solitarily cool. Like 2009’s slept-on Begone Dull Care, It’s All True doesn’t carry the same palatable emotional gravitas of an outwardly downhearted record like So This is Goodbye. These are mainly straightforward, city-slicker electro-pop tunes garnished with Jeremy Greenspan’s traditionally bemused lyricism. He sings in cryptic, half-finished fragments like “that’s the way you’ll improve me,” or “put your hopes up /next to mine” about similarly disarranging topics (idealizing a destiny, the tugs between fantasy and reality) — never fully unfurling his poetry into a concrete story. But even at Greenspan’s most diffuse, he never clogs his band’s danceability: Junior Boys embrace their clouded pop aesthetic with open, almost escapist arms. A song like “Kick The Can” is entirely drawn away from any impassioned weight, and instead focuses on the populist power of bass, synth and drums — coalescing as one of the duo’s few true club-bangers. The pre-release buzzer “Banana Ripple” exudes pure confidence in its 9-minute sprawl, morphing divine melodies into refined floor-ready euphoria. 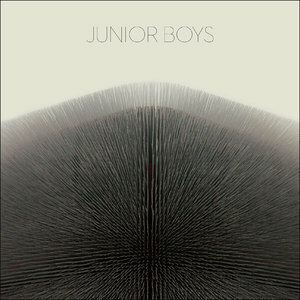 This isn’t the heaviest of the Junior Boys repertoire, but it might be their most fun. Of course if you’ve contested their callous songwriting before, you’ll probably continue to feel alienated; It’s All True still doesn’t have the inclusive warmth of similar acts like Hot Chip or Passion Pit. But for those of us who’ve been rooting for them, it’s nice to see the Junior Boys get a little hedonistic within their grayscale world.